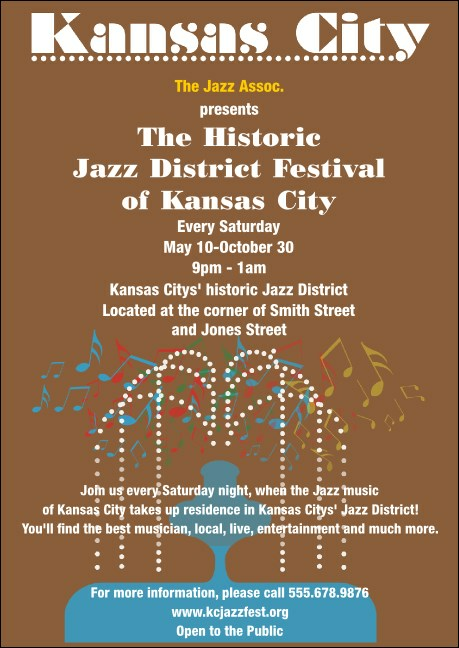 Announce your next big jam session with a vivid Kansas City Postcard. You can feel the groove as the silhouette plays a harmonic rhythm. Perfect for music stores, bands, and event promotions. TicketPrinting.com can channel you to your next big event!